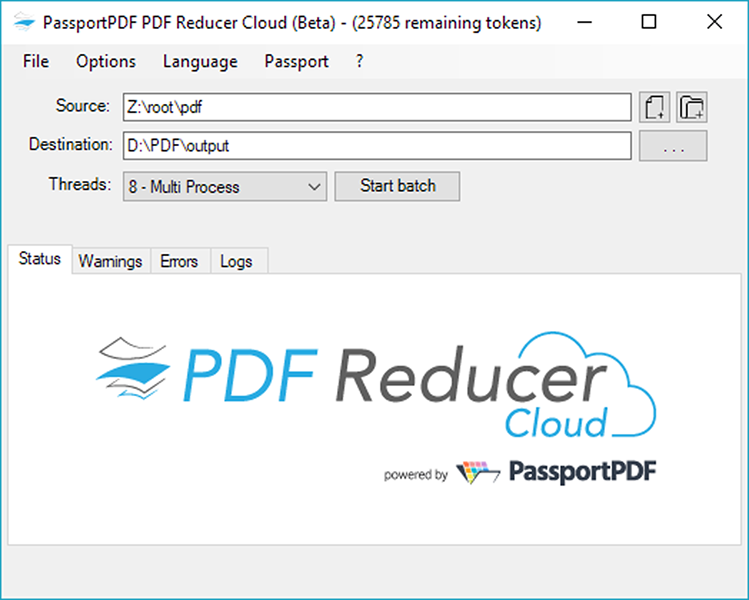 PDF Reducer Cloud is a free PDF compressor software, powered by the innovative and sophisticated PassportPDF technology. No system resources are used client-side, everything is managed server-side. Compress all your documents and images (100+ formats supported) with PDF Reducer Cloud. Major features include: multithreading support, unlimited batch processing, content segmentation, automatic color detection, Fast Web View support, removal of unwanted objects, drag and drop support, fonts optimization, Mac and Linux versions, and more. Freemium and Premium plans are available. Compared to PDF Reducer On-Premises, PDF Reducer Cloud uses a specific technology with better compression rates. PDF Reducer Cloud is open source. Try it now!